We are taking it pretty easy around the house today. I love having Drew home during the week!! *In a large pot, boil noodles a few minutes less than package directions; drain and return to pot. *While boiling noodles, brown ground beef and onion until beef is no longer pink and onion is translucent; drain. Add to noodles in pot. 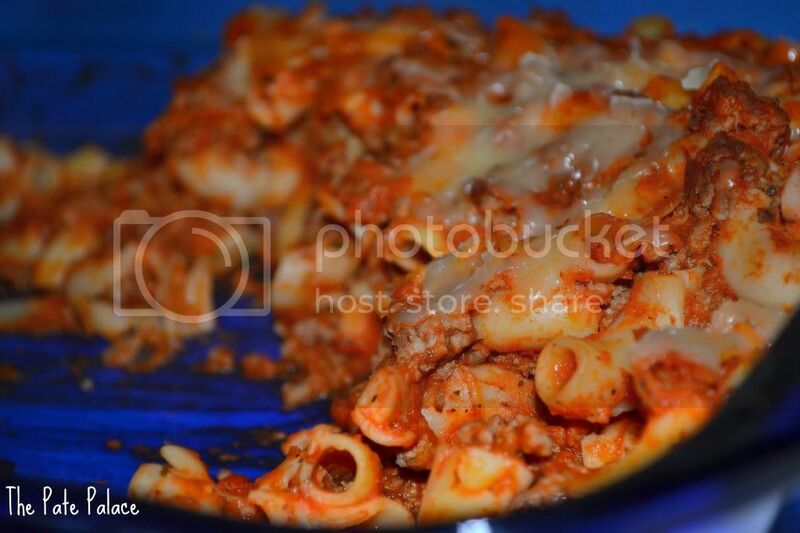 *Mix spaghetti sauce and Parmesan cheese into beef/noodle mixture; mix well. *Pour everything into a 9x13 casserole dish. Bake for 20 minutes. Add mozzarella cheese on top and return to oven for 5 minutes or until cheese is melted.